Southern Thermal - Air Conditioning, Central Heating Engineer, Renewable Energy based in Worthing, West Sussex. 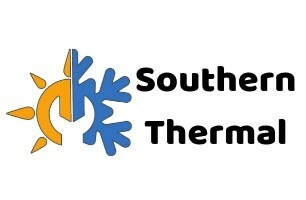 Southern Thermal is a Worthing based company with more than 20 years of hands-on engineering experience in air conditioning, heating, ventilation, refrigeration & plumbing. We are also qualified gas safe & f-gas engineers. We hold all Industry standard relevant qualifications. We have proud, long term customers that highly recommend us, in the domestic and commercial sectors. We operate across Worthing, Brighton, Horsham, Crawley, Chichester, Sussex and Surrey. Southern Thermal design, supply, install, service and maintain all leading manufacturers systems for your comfort. We provide a professional service and value our customers. We are confident that we can serve all your HVAC & R requirements, however large or small.